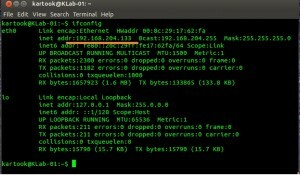 This tutorial shows you how to enable SSH in Ubuntu 14.04 ( Trusty Tahr) you may already know, SSH is a secure communication protocol that lets you remotely access to our Linux and Unix based systems. SSH is a replacement for Telnet.Telnet is very unsecured.Telnet sends traffic in plain text,which you can easily capture via packet capturing tools like Wireshark and many more. SSH on uses a secure protocol to communicate remote server. When it opens, run the commands below to update the server.This update makes all packages and required security updates . After server update Run the commands below to install Openssh-server package . Walla !!!! .openssh-Server Installation Done. Now you can use your favorite SSH client to connect to your machine using the default port 22.Before that you need to find your IPAddress of the server to run below command on terminal . 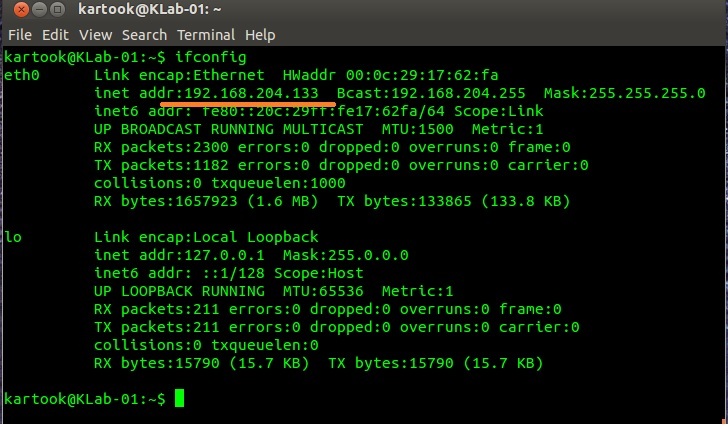 My Remote Server IPAddress is 192.168.204.133 as above i found via ifconfig comment through terminal .I am connecting server via port 22 as below .with my favorite terminal clientPuTTy. After Connect the server you will get a Server information like Ubuntu version ,Documentation Url and Last Login information ( if you logged in before ) As like below . I always wish to change the connection port for security reasons in different port.To change the default port ( 22 ) to custom port run below command to open the configuration file on server . If you use gedit simply edit the port and save it . If you use Nano editor you have to follow the steps . After editing the you need to pass Control+O to write Out your changed on the file . After That you need to enter and accept the changes . Congratulations, you have just Installed and Enabled Secure SSH !!! This entry was posted in Applications, Linux, Security, Unix. Bookmark the permalink.